Any info on propellants? Fuel:oxidiser volume ratio based on crude measurement of diagram is about 1:1.65. So definitely not hydrogen or light hydrocarbon, guess kerolox? Tal Inbar says on twitter that no extra info was provided other than what's in the poster. I've had a look at Roketsan's site, and it doesn't look like there's anything there either. That's the volumetric relationship of a gas generator kerosene lox engine (~2.3 O/F). Here's the original release (via google translate) from the SSB, unfortunately no timeframe is mentioned. They do have an image which afaik is new. SSB and Roketsan signed a contract for Micro Satellite Launch System (MUFS) Development Project. When the project is over, micro-satellites of 100 kilograms and below will be placed in the low-earth orbit with a height of at least 400 kilometers. Turkey, owned by the country of the world satellite launch, testing, will have gained the ability to produce infrastructure and bases. The project covers the development and testing of the Micro Satellite Launch System, which can accommodate micro-satellites of 100 kilograms and below, with a height of at least 400 kilometers in the Low Earth Trajectory. Under the contract, Roketsan will develop the Micro Satellite Launch Vehicle and install the test / production facilities and launch base. Thus, Turkey has few countries in the world where satellite launch, testing, will have gained the ability to produce infrastructure and bases. 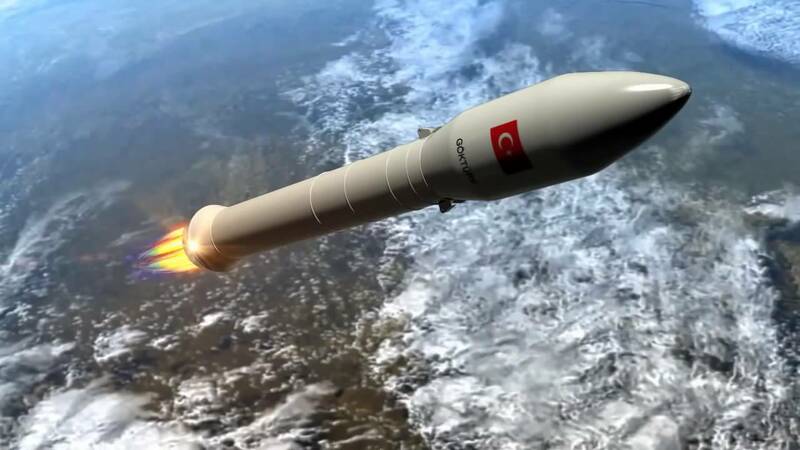 Where is Turkey going to launch from and in what direction? The country's location is not exactly favourable. The Space Technologies Research Institute of Turkey (TÜBİTAK–UZAY) and the Directorate General of Civil Aviation, a public body that regulates civil aerospace, will both see 20% of their budgets redirected to the agency. On the basis of their official 2019 budgets, this amount alone will add up to almost 30 million Turkish Liras (US$5.7 million). The new agency will coordinate these agencies, as well as Turkish Aerospace Industries; Roketsan, a major Turkish rocket producer; and TÜRKSAT — a semi-private satellite organization, the order says. As a recent member of the space agency club, congratulations to Turkey for creating their own agency! Does this mean the race is on for which SLS will reach orbit first?